Available as 5 Seater SUV its longer, Wider, Taller and has even longer Wheelbase across all 5 Seater SUV with a Segment lower against Nissan Kicks, Hyundai Creta or Direct Rival as Jeep Compass or segment up Hyundai Tucson and Honda CRV. So from Dimension point of View - Harrier gives you a feel of Bigger Car for that Macho appeal. 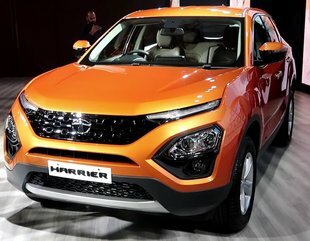 Want to Know More on Performance, Reviews, Features, Dealers of Tata Harrier Car.